Emily is a friend of mine and was really the person who inspired me to step up my Instagram game during my final year of university. As Emily doesn't live half as near as I'd like her to, it's a nice way for me to catch up and see what she's been up to. 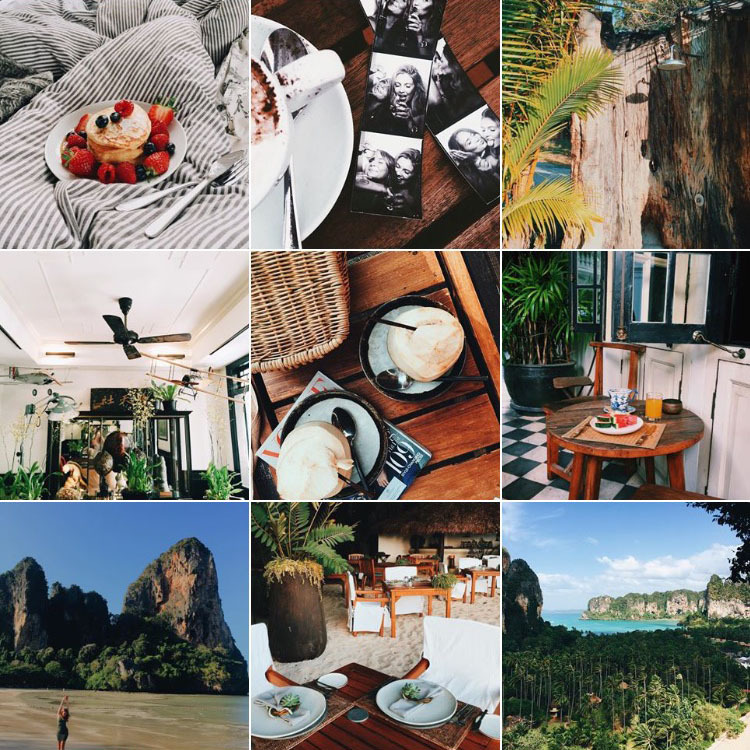 If you want to see where I get lots of my inspiration from, take a look at this page, just a warning you may get lost in her dreamy holidays and beautiful lunches. Evenlina is a Youtuber who I've mentioned a lot when writing my favourite YouTubers blog post. 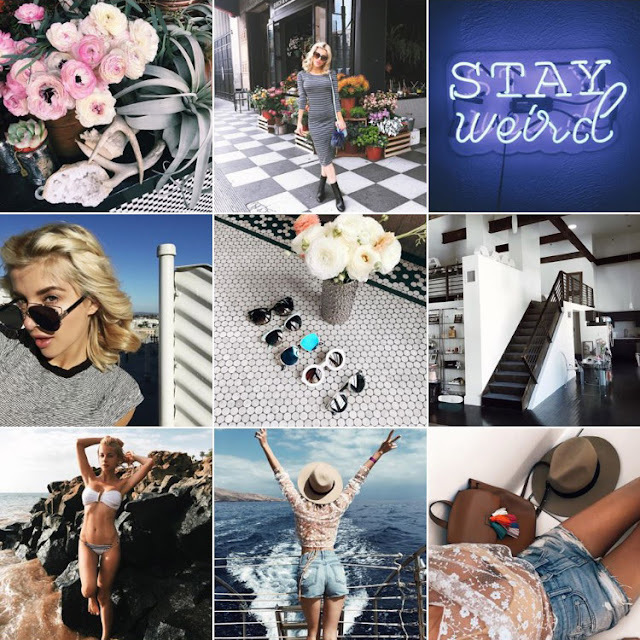 Her feed is one of those which that makes you wished you lived in LA and are just about to jet off to your next tropical destination. It's so different to my life but I'm 100% ok with that! Follow her for lots of wonderful holiday inspiration, LA lifestyle posts and ootd's. 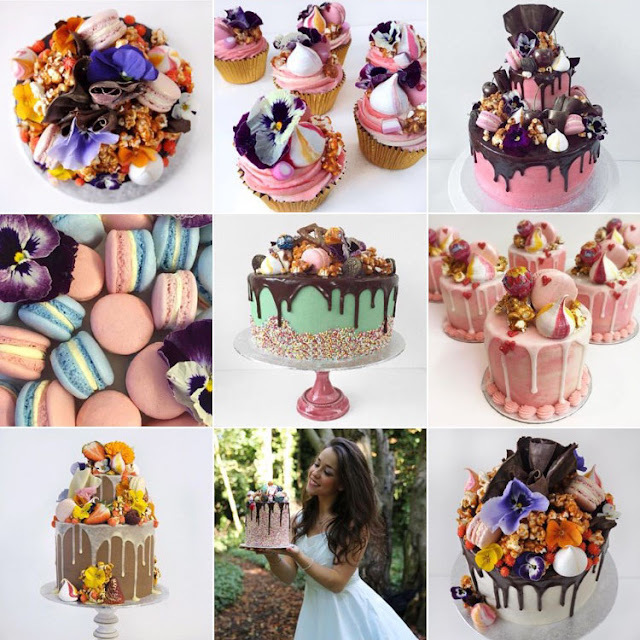 Instagram is full of baking, biscuit and cake accounts so sometimes it's hard to find the best ones, but I believe Georgia's is one of them! I can't remember exactly how I stumbled across her feed but as soon as I did I gave her an immediate follow and I've not stopped being obsessed with her cake creations since! 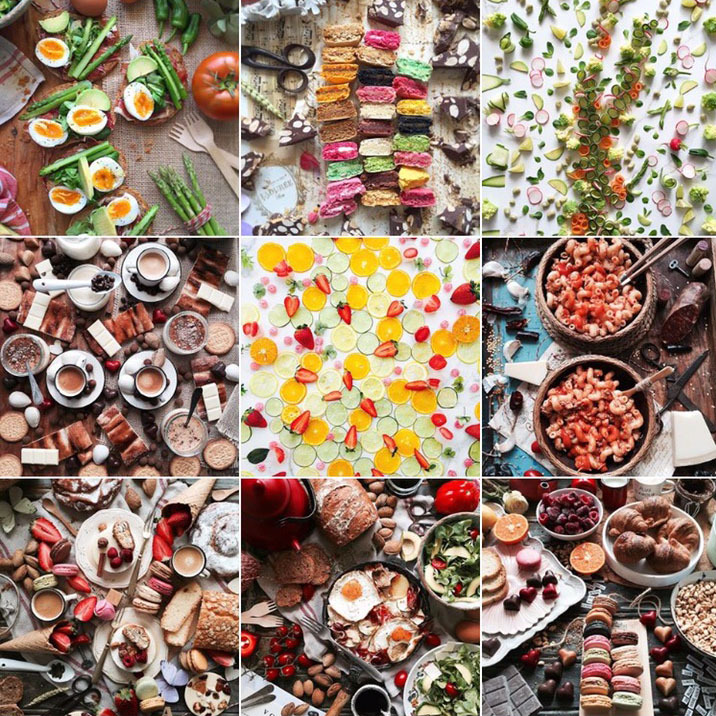 If there's one thing I know about Instagram, it's that people like food, and Laura Lopez has nailed the food styling trend. As a food stylist by trade Laura has made a beautiful transition over to Instagram to always treat people to seriously good looking food. This is a new account to me, but it's quickly become one of my favourites and I knew I just had to share it with you, I mean just look at all of those macaroons. I'm sure everyone (and Amy herself) is sick of me always going on about her but I can't help it. I really do love Amy's blog and Instagram. Whenever I need some outfit inspiration, I'll go straight to her blog or Instagram. Not only is she absolutely gorgeous, but she takes some really wonderful photos too! I think I like every single photo she puts up!